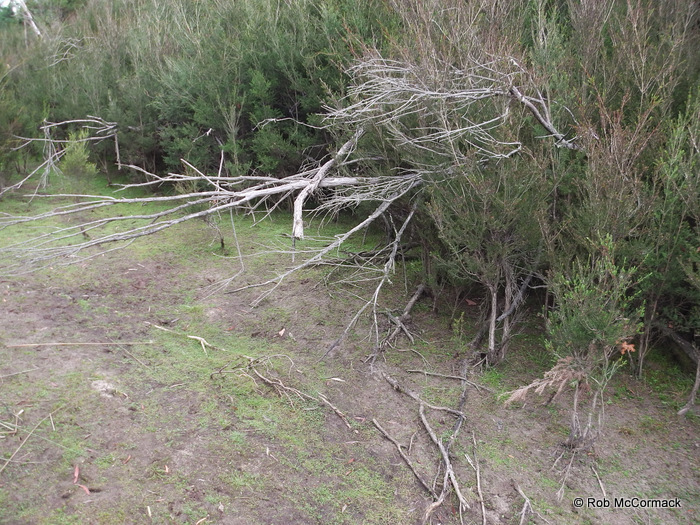 I’m not familiar with the Tasmanian Engaeus but as per my Australian Engaeus bible (Horwitz, 1990) this species keys out as Engaeus mairener – if anyone has any other thoughts, please let me know as this is one of my first tastes of Tassie Engaeus. 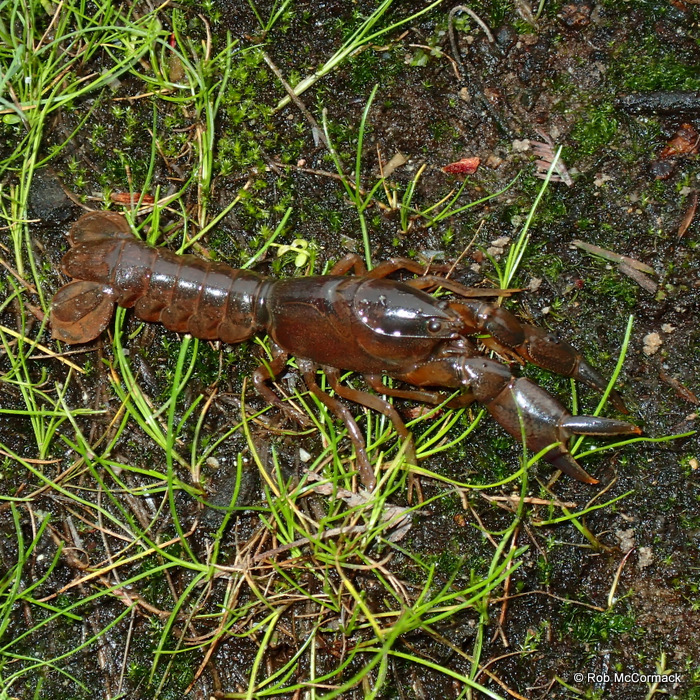 This species is endemic to north-eastern Tasmania, and seemingly abundant. 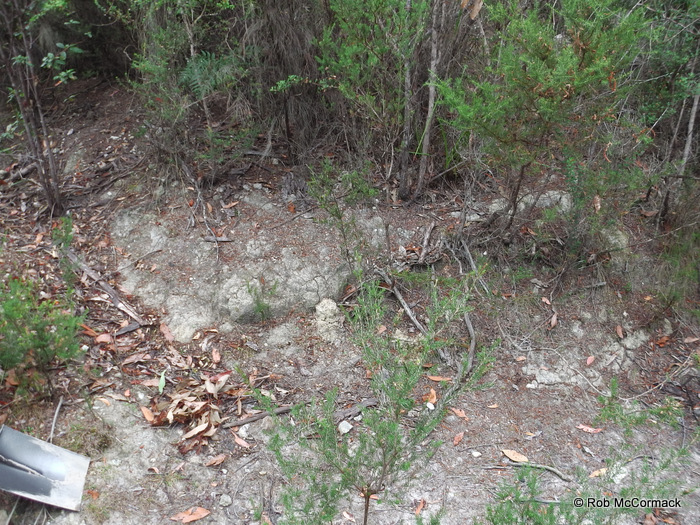 Burrows were close to each other (2-3/m2) with the areas where they occurred being riddled with burrows. Burrows tops were not the high chimney type but just a small mound of excavated material, we generally only excavated newly constructed burrows with fresh material at the burrow mouth (good chance of getting a crayfish). 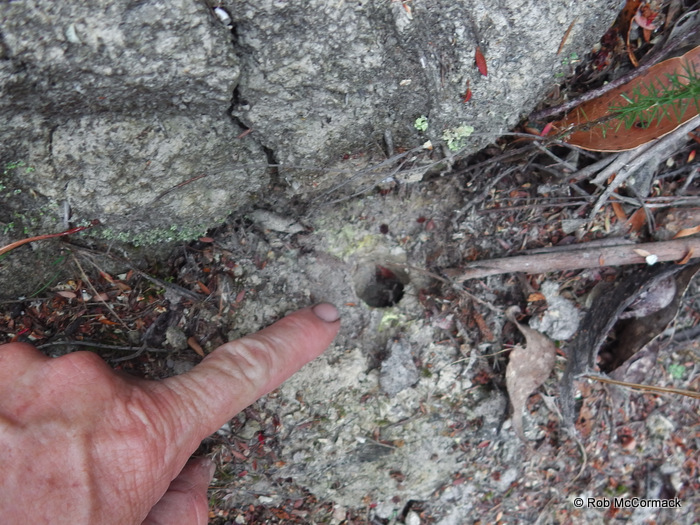 Most burrows had 2 surface entrances leading to a deep burrow that lead to either a small water filled chamber or just a water filled burrow with the crayfish crammed into the base. 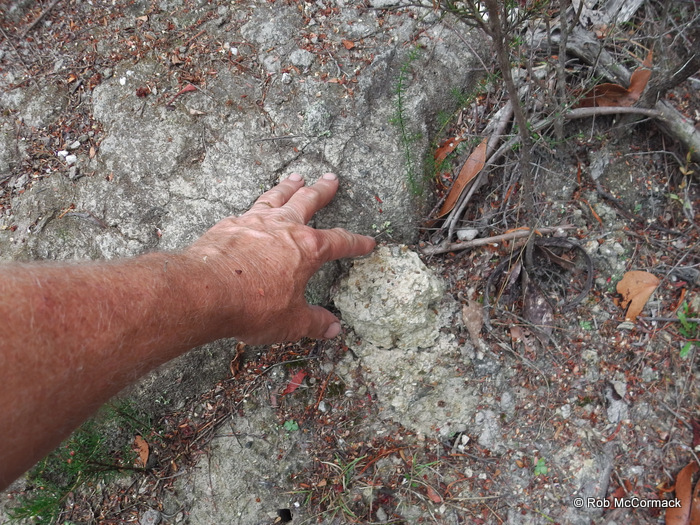 Most of the burrows I dug were in or along the sides creek beds, all were currently dry on the surface but there was water in all the burrow base excavated. 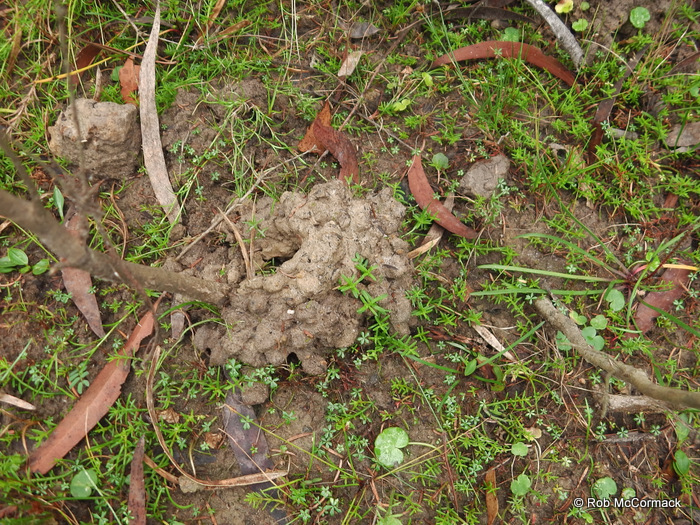 Both clay and soil seemed to be suitable for the species and tea trees were typical in the burrow areas we collected crayfish from. 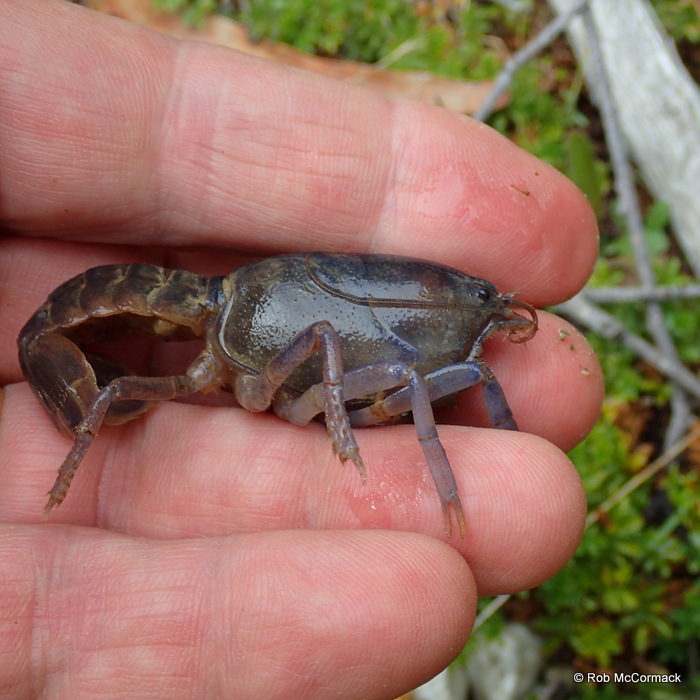 If you enjoyed this post then please make a contribution, please note that no one paid us to write this article, no one paid us to travel to Tassie, no one paid us to catch these critters, it’s all done at our own personal expense as a volunteer on the ACP. 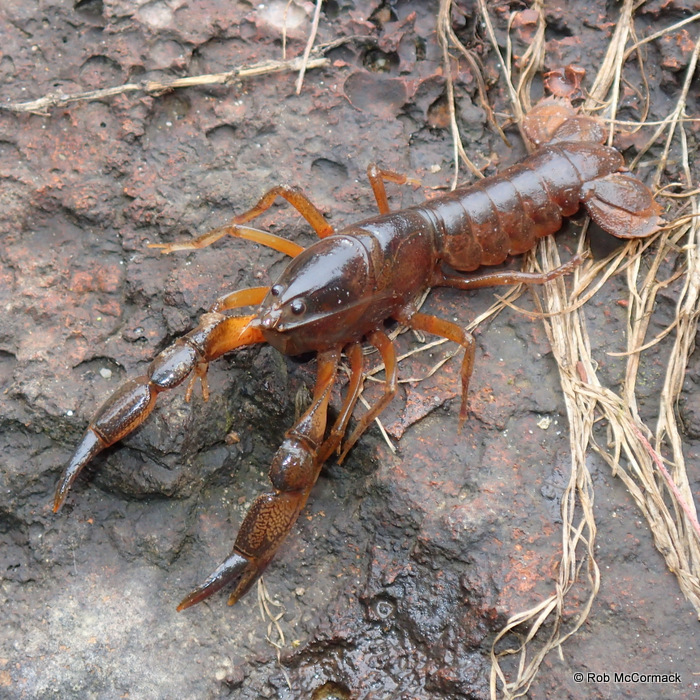 A contribution from you could pay for fuel in the car and allow us to do more towards increasing the knowledge base on our endemic crayfish species and assist in their, and their fragile habitat conservation. Please contribute – just a few dollars makes a significant contribution!